I cannot get over the fact we are now only a matter of weeks away from saying goodbye to 2014. It doesn't seem five minutes since I was stood in Sydney Harbour watching fireworks and welcoming the New Year. I have had such a super year and especially pleased this month as I feel like I have done SO well with my Novembers Goals having actually completely them all in some way, shape or form. Keep focus on the gym - although I managed this, I did have a couple of weeks where I was ill. I managed to still go but couldn't push myself as hard as I wanted. Start my Christmas shopping - VERY happy with myself for starting this! I've pretty much decided what I'm getting everybody now (I say everybody but I buy for very few people!) I'm planning to get the last chunk of it done this weekend so I can get wrapping and get organised so my week of Christmas is as relaxed as possible. Keep a food dairy - I'm pleased to have managed this but it's also highlighted several things - I'm definitely allergic to Goats Milk as I keep getting, what I thought was heat rash, but is actually an allergic reaction. It's driving me crazy! I'm also pretty sure Gluten Free may be the way I'm heading. AND I eat too much - the right stuff, but I'm just a greedy piggy and like food far too much. Life's for enjoying, right? Two books for the month and a NEW film a week - To my absolute shock, I'm also done this! I haven't necessarily managed a brand new film, apart from the AMAZING Mockingjay Part 1 but I have managed one film I hadn't seen before each week (better yet, TWO most weeks!) Bookwise I finished Lena Dunham's 'Not That Kind of Girl' and re-read my favourite 'Rebecca' by Daphne Du Maurier. Daily Blogging - I have to admit, although I still enjoy blogging, I've fallen out of love with it a little at the moment. I'm finding myself getting a little disheartened about it all. In the couple of years I've been blogging, it's changed shape a lot. I'm pleased to see so many bloggers doing well and making careers out of their hobbies but I am finding myself completely slating my own blog in comparison some days. This is a hobby for me and I still want to continue - I just need to keep remembering why I began and why I haven't given up on it! Presents wrapped and under the tree by 14th December - I am trying to be organised this year. I'm not a massive fan of the last minute rush. Last year I was fairly lucky that I wasn't in the country so I didn't have the stress of gifts too much - I sent a few souvenirs from my travels and made a big picture board online to send to my parents (mostly to remind them I still existed despite being on a completely different hemisphere). 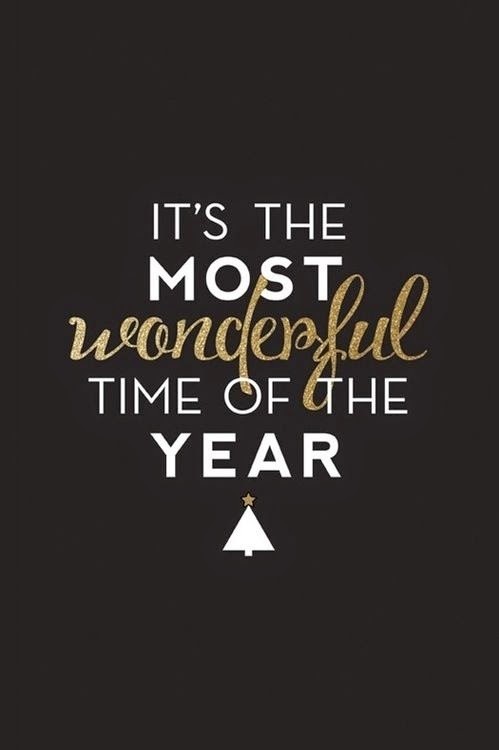 This year, I'm wanting to be done by the second weekend of December so I have the whole of the Christmas week to drink mulled wine, bake Christmas treats and spend my free time in front of the log fire at my parents house watching Christmas films. Hooray! Boring budgeting - This is a really boring 'adulty' thing to set as a goal but I really want to sort out a 2015 budgeting plan. My spending the last month or two has been a little out of control and despite managing to save a little bit, there's a lot I want to do in 2015 and I don't want 'I can't afford it' to be the excuse. So a little bit of forward planning in how much things will cost me, how much I can realistically save and maybe flogging some things on eBay to help the saving process. A Christmas bake each week - Although I've been baking a lot recently (and yet to blog most of it!) it hasn't been as festive as I'd have hoped! Mince pies, stolen, cinnamon bakes - you name it, I want to try baking it before Christmas Day arrives. SLEEP! - I am absolutely shattered at the moment. I don't feel like I've stopped these past few months after having hectic working weeks and jam packed weekends. I still want to have my daily gym classes/sessions but I NEED to make sure I get plenty of sleep. I'm aiming for bed by 11pm at the latest as I've been ridiculous and staying up past 12 and getting up around 6.30-7pm (6am on Wednesdays and Fridays for a gym class before work too eek!) My body is able to function less and less if I don't get enough sleep so this is probably my biggest and toughest goal this month! November sounds like a great successful month! 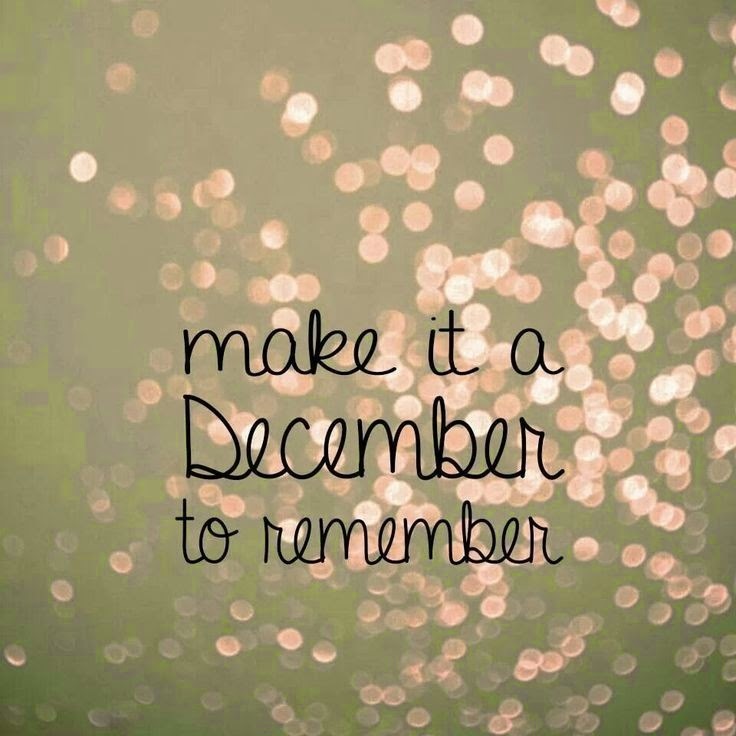 :) And I love your goals for December, looking forward to seeing the Christmas bakes you make!! :) I agree with the Christmas rush, hate it! I've only got two more presents to go thankfully. Can't believe it's the last month of 2014?! Thanks darling! It's great to know we all have one another for support isn't it.